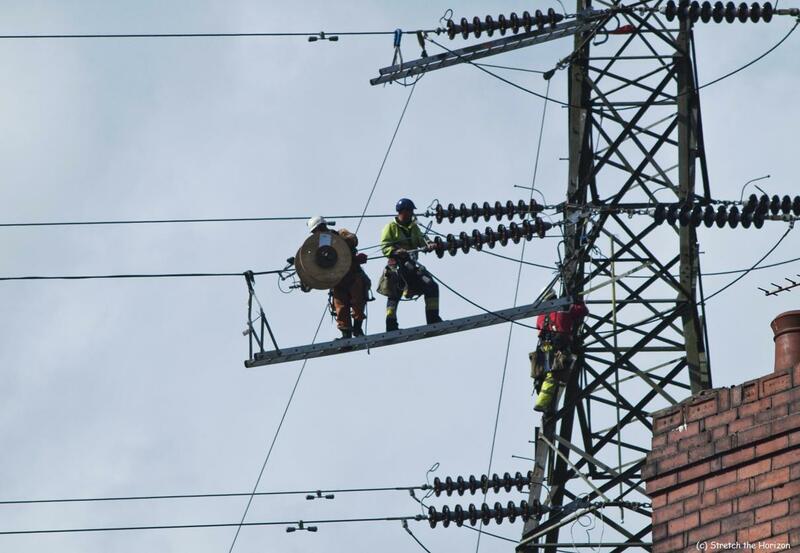 Spotted this dizzying sight the other day whilst out walking: three workmen high off the ground – the chimney stack in the foreground gives some idea of how high – working to change the cables between electricity pylons. Brave? Well, I can tell you they’re far braver than me, that’s for sure!